In 2015, IPG held its first ever sock collection drive "Socks and Crocs." What began as a simple idea from two of our own medical assistants, Erin R. and Matthew O., became a great team effort among our offices across central Indiana to collect as many socks as possible. 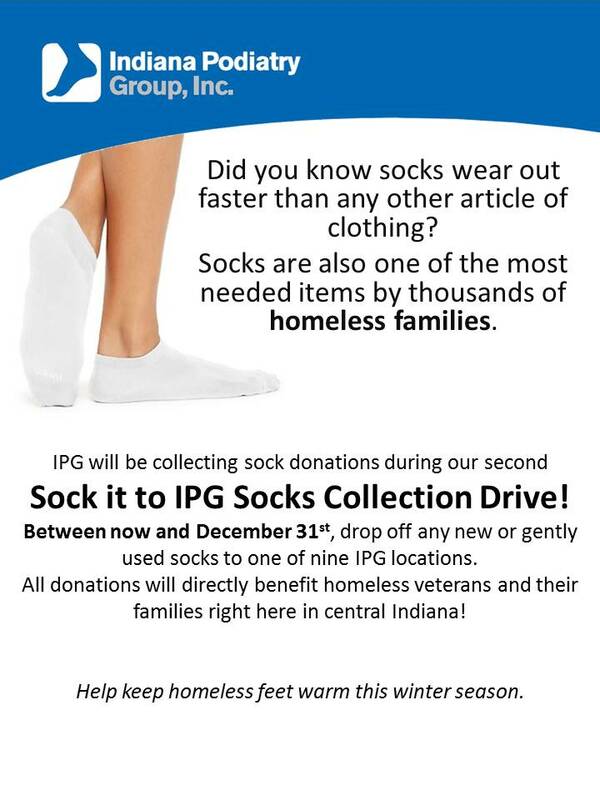 IPG exceeded its goal of a 1,000 pairs of socks. Along with those 1,100 pairs of socks, we donated 42 RX Crocs and various items such as shoes and blankets. Just as our mission is to serve patients by providing comprehensive foot and ankle care, our goal is to give back to those who served our country by seeing to it that they receive adequate footwear greatly needed. The Tipton location collected the most socks, with Noblesville in second and Shadeland [Indianapolis] in third. 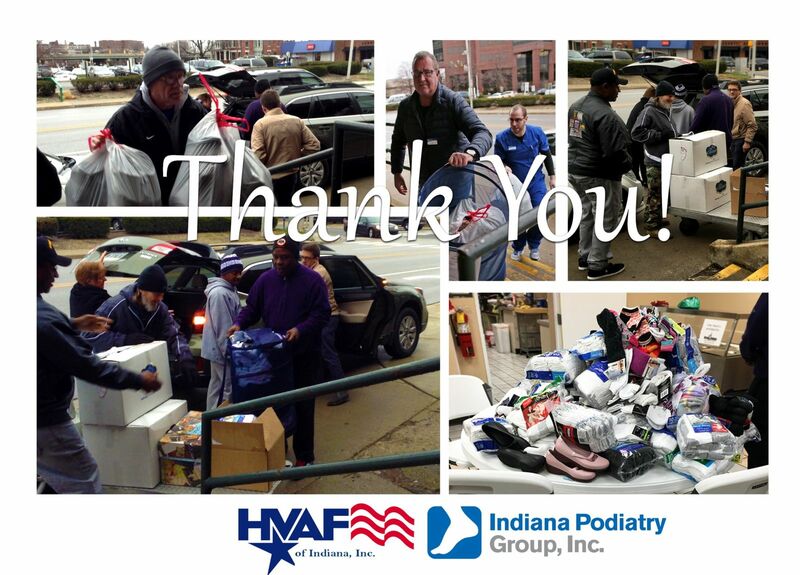 This year, IPG was able to present over 2,800 pairs of socks to homeless veterans in Indiana, all thanks to the great support received from staff, patients, and local organizations! Your generous donations will directly benefit the veterans and their families that seek assistance through the Hoosier Veterans Assistance Foundation. For the second year in a row, our Tipton location collected the most socks, totaling 1,1035 pairs of socks! Special thank you to those who contributed!